The Direct Energy Live Brighter Scholarship Contest ("Contest") is sponsored by Direct Energy Services, LLC ("Sponsor"). Sponsor is committed to supporting and recognizing the people and organizations making a positive impact in their communities. As we empower people to live brighter by using energy wisely and efficiently, the Contest will provide students additional support towards their academic future. The Contest will offer high school and college students the opportunity to receive up to $2,500 for use towards their college tuition. Each applicant must submit online the required application, which requires either a 500 word essay or link to their video creation. Employees of Direct Energy and its respective parents, divisions, affiliates, subsidiaries, promotional or marketing agencies, and their immediate family members (parent, child, sibling and spouse) and persons living in the same households of each such employee (whether related or not) are not eligible. 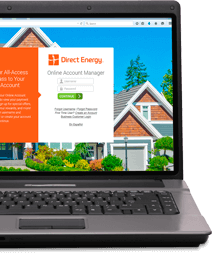 Be a resident of any of the states where Direct Energy offers energy services: Connecticut, Delaware, Illinois, Indiana, Maryland, Massachusetts, Michigan, New Hampshire, New Jersey, New York, Ohio, Pennsylvania, Rhode Island, Texas, D.C. Provide an electronic copy of official or unofficial transcripts. Transcript does not need to bear a University Seal or School Seal, but must contain all of the relevant academic information of a student, including student name, cumulative grade point average, and school year. Transcript must be in one of the following formats: .doc, .pdf, .txt, .jpg, .png. Other file types will not be accepted and applications with other file types will not be considered. "In addition to empowering customers with the tools and technology to use energy wisely, Direct Energy uses our power to transform the lives of others. We're committed to the communities we serve and their well-being, which is why we partner with the Children's Miracle Network and other nonprofit organizations across North America. We created this scholarship to reward likeminded students who shine a light for others. How do you use your energy, skills or talents to serve or empower your community?" Entrant must submit his/her contact information on the entry form and use his/her YouTube account for the Video entry. Once the Video is created, submit the link to the Video for entry into the Contest by the end of the Contest Period. To submit the Video, go to the website www.directenergy.com/scholarship and complete the Contest entry form. Be sure to properly enter all information, including your Video link, into the Contest. Copy and paste your Video's YouTube link in the space provided. Video should be marked as unlisted (to learn how to mark a video as unlisted, view www.google.com/support/youtube/bin/answer.py?answer=181547). LIMIT: One entry per person, Additional entries after the first entry from the same Entrant will be void. *No Sponsorship or endorsement of the Contest Parties by YouTube is intended or implied; nor is YouTube associated with the Contest in any way. IF FEWER THAN FIVE (5) QUALIFIED AND ELIGIBLE VIDEOS ARE SUBMITTED IN THE CONTEST, THEN THAT PORTION OF THE CONTEST WITH TOO FEW SUBMISSIONS SHALL IMMEDIATELY TERMINATE AND NO WINNERS WILL BE NAMED. Contest Parties shall have no liability whatsoever (including any liability or obligation to award a prize) to any Entrant should the Contest be terminated as a result of this lack of participation. Contain material that is unlawful, in violation of or contrary to the laws or regulations of the U.S.
Winning Entrants must provide their Video in its original format as well as all original unused footage taken when making the Video as winning entry will have the opportunity for their Video to be considered for use in the Sponsor's sole discretion. Please retain a copy of your Video entry and all related materials Video footage and materials. Failure to do so may result in disqualification and selection of an alternate winner. Entrant represent and warrant that their submission is the original work of such entrant and is accurate; it has not been copied from others. Information presented in the video must be cited, giving credit to the original source. Plagiarism of any kind will result in disqualification and further represent and warrant that their submission does not contain any defamatory, obscene or otherwise unlawful matter or depict anyone engaged in any illegal, immoral or lewd act, any violent or pornographic material or contain any other inappropriate content (as determined by Direct Energy). All entry materials become the property of Direct Energy and will not be acknowledged or returned. Must sign a student video talent release form granting Direct Energy ownership of the video. Direct Energy reserves the right to use or refuse all content submitted. Only those application forms which are fully completed, with required documents attached and electronically signed, will be considered. Applications must be submitted electronically through the application form. Emailed or mailed applications will not be considered for entry and will be destroyed upon receiving them. Videos will not be hosted on Sponsor site, they should be hosted on a YouTube.com with the permissions set to "unlisted" as the videos will not be listed publicly. Application form must be submitted by Monday, December 31, 2018 at 11:59 pm ET. Mail in entry forms and other documentation will be destroyed and will not be accepted. The scholarship program will be administered by a committee of Direct Energy employees ("Scholarship Committee"). The Scholarship Committee is comprised of at least 10 volunteer members. Each member will receive applications soon after the application deadline to start application review process. The entry with highest overall score will be declared the potential winner (in the event of a tie, the entry with the higher score in the essay will prevail). The selection panel's decisions are final and binding. Selection for the Direct Energy Live Brighter Scholarship will be a two-stage process consisting of application review and calibration process. Successful candidates will be selected on the basis of academic performance, creativity and innovative approach, community involvement and alignment with Direct Energy's vision and values. The finalist will be notified of his or her status by January 31st, 2019. We will maintain a list of alternate candidates in case winners decline the scholarship. Winner may be required to complete an affidavit of eligibility, and a liability and publicity release (except where prohibited by law) which must be returned within ten (10) days of date of personal delivery or date of postmark. Failure to sign and return the affidavit or release within ten (10) days, or to comply with any term or condition of these Official Rules, may result in a winner's disqualification, the forfeiture of his or her interest in the prize, and the award of the prize to a substitute winner. The winning students will receive a phone call, email, or letter announcing the official decision. The "Direct Energy Scholarship " Contest is sponsored by Direct Energy Services, LLC. ("Award Sponsor"). The decisions of the Award Sponsors regarding the selection of winners and all other aspects of the Contest shall be final and binding in all respects. (i) Award Sponsor is not responsible for entries that are lost, late, misdirected, incorrect, garbled, or incompletely received, for any reason, including by reason of hardware, software, browser, or network failure, malfunction, congestion, or incompatibility at Award Sponsor's' servers or elsewhere. In the event of a dispute, entries will be deemed submitted by the authorized account holder of the e-mail address submitted at the time of entry. "Authorized account holder" is defined as the natural person who is assigned to an e-mail address by an Internet Access Provider, online service provider, or other organization (e.g., business, educational institute) that is responsible for assigning e-mail addresses for the domain associated with the submitted e-mail address. (ii) Award Sponsor, in its sole discretion, reserves the right to disqualify any person tampering with the entry process or the operation of the web site or otherwise attempting to undermine the legitimate operation of the Contest. Use of bots or other automated process to enter is prohibited and may result in disqualification at the sole discretion of Award Sponsor. (iii) Award Sponsor further reserve the right to cancel, terminate or modify the Contest if it is not capable of completion as planned, including by reason of infection by computer virus, bugs, tampering, unauthorized intervention, force majeure or technical failures of any sort. (iv) Award Sponsor is not responsible for errors in the administration or fulfillment of this contest, including without limitation mechanical, human, printing, distribution or production errors, and may cancel, terminate or modify this Contest based upon such error at its sole discretion without liability. In no event will Award Sponsor be responsible for awarding more than the number of prizes specified in these rules. (v) In the event this Contest is cancelled or terminated, pursuant to sub-paragraph (iii) or (iv), Award Sponsor, in its sole discretion, may elect to select a winner from among all eligible entries received up to the date of discontinuance for any or all of the prizes offered herein. (vi) AWARD SPONSOR MAKE NO WARRANTIES, REPRESENTATIONS OR GUARANTEES, EXPRESS OR IMPLIED, IN FACT OR IN LAW, AS REGARDS THIS CONTEST OR THE MERCHANTABILITY, QUALITY OR FITNESS FOR A PARTICULAR PURPOSE REGARDING ANY PRIZE OR ANY COMPONENT OF ANY PRIZE. (vii) CAUTION: ANY ATTEMPT BY AN ENTRANT TO DELIBERATELY DAMAGE THE WEBSITE OR UNDERMINE THE LEGITIMATE OPERATION OF THIS CONTEST MAY BE A VIOLATION OF CRIMINAL AND/OR CIVIL LAWS, AND SHOULD SUCH AN ATTEMPT BE MADE, AWARD SPONSOR RESERVE THE RIGHT TO SEEK REMEDIES AND DAMAGES (INCLUDING WITHOUT LIMITATION ATTORNEYS' FEES) FROM ANY SUCH ENTRANT TO THE FULLEST EXTENT OF THE LAW, INCLUDING CRIMINAL PROSECUTION. THIS CONTEST IS SUBJECT TO ALL APPLICABLE FEDERAL, STATE, AND LOCAL LAWS AND REGULATIONS. ISSUES CONCERNING THE CONSTRUCTION, VALIDITY, INTERPRETATION AND ENFORCEABILITY OF THESE OFFICIAL RULES SHALL BE GOVERNED BY THE LAWS OF THE STATE OF TEXAS, WITHOUT REGARD TO ANY PRINCIPLES OF CONFLICT OF LAWS. ALL DISPUTES ARISING OUT OF OR CONNECTED WITH THIS CONTEST WILL BE RESOLVED INDIVIDUALLY, AND WITHOUT RESORT TO CLASS ACTION, EXCLUSIVELY BY A STATE OR FEDERAL COURT LOCATED IN HARRIS COUNTY, HOUSTON, TEXAS. SHOULD THERE BE A CONFLICT BETWEEN THE LAWS OF THE STATE OF TEXAS AND ANY OTHER LAWS, THE CONFLICT WILL BE RESOLVED IN FAVOR OF THE LAWS OF THE STATE OF TEXAS. TO THE EXTENT PERMITTED BY APPLICABLE LAW, ALL JUDGMENTS OR AWARDS SHALL BE LIMITED TO ACTUAL OUT-OF-POCKET DAMAGES (EXCLUDING ATTORNEYS' FEES) ASSOCIATED WITH PARTICIPATION IN THIS CONTEST AND SHALL NOT INCLUDE ANY INDIRECT, PUNITIVE, INCIDENTAL AND/OR CONSEQUENTIAL DAMAGES.